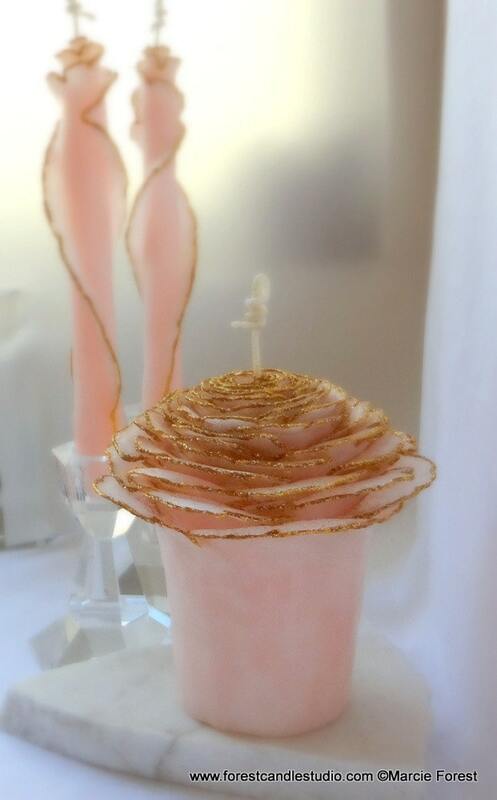 Glitter Rose Unity Candle Set in hand-dyed blush pink beeswax, adorned in your choice of gold or silver. 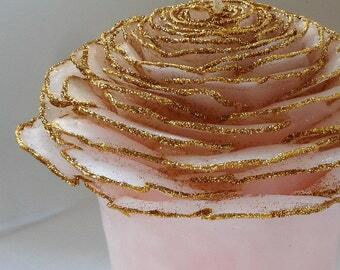 Choose the pillar by itself and use your own tapers, or add a set of 2 matching Glitter Rose Tapers (for additional cost) from the drop-down menu. 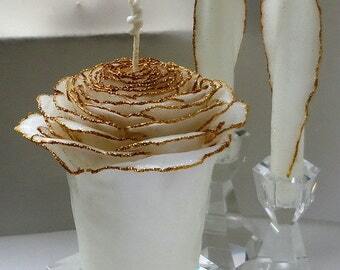 Simply exquisite for your wedding ceremony, bridal table decor, gift for the wedding couple. 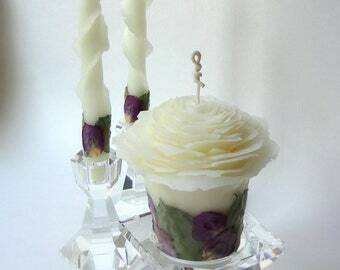 This set is in my "Garden" style, with flared out edges resembling roses in bloom. Handcrafted using my original designs & techniques at my art studio in California. No two candles look exactly the same. 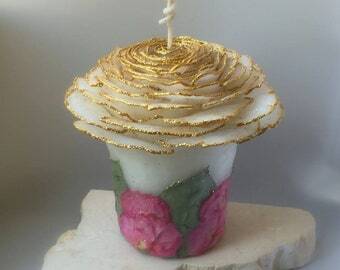 "Absolutely gorgeous candles! Marcie was in contact with me every step of the crafting and shipping process. 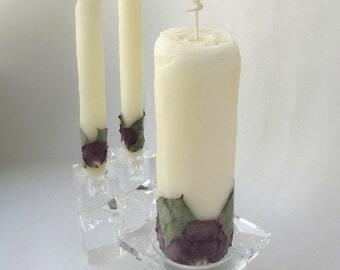 Beautiful handmade candles and a pleasure to do business with!" Photos show examples from previous orders. 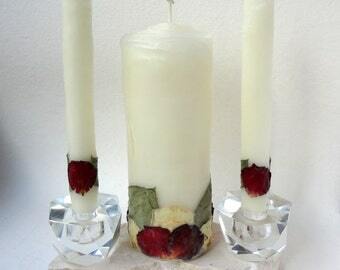 (Light the Rose Pillar 2-3 hours at a time to leave the outer shell intact.